Includes a 5.5-in. and 7-in. Hollow Edge Santoku Knife. 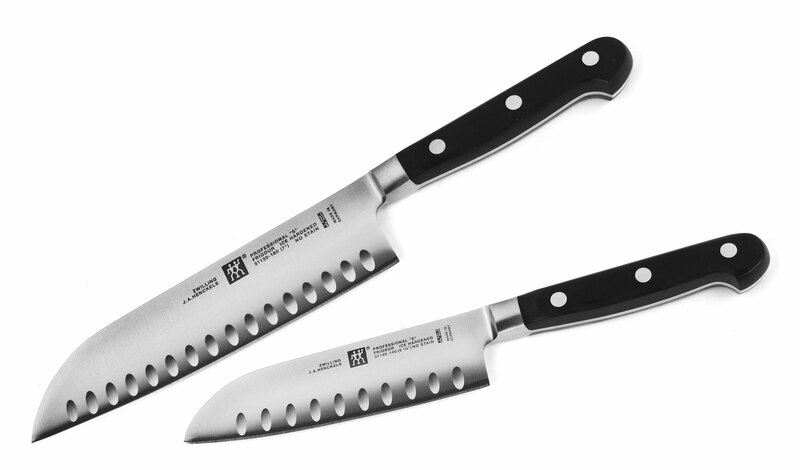 Santoku knives are an Asian-type knife with broad blade and especially sharp cutting edge. The all rounder of the Asian kitchen can be used threefold: for preparing meat, fish, and also vegetables. All santoku knives by J.A. Henckels have a fine-polished razor edge that gives them their typical sharpness. The hollow edge is ideal for extra thin cutting. J.A. 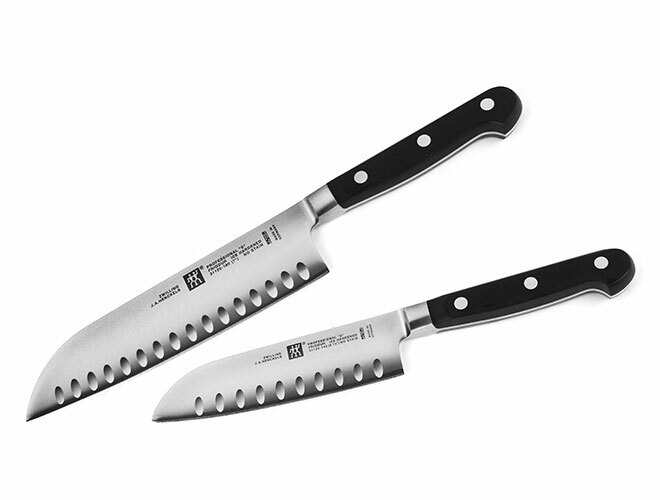 Henckels TWIN Pro "S" knife series features trustworthy quality and classic 3 rivet styling admired by professional chefs and hobby cooks alike. The sturdy feel and perfect balance ensures a professional cutting experience every time. 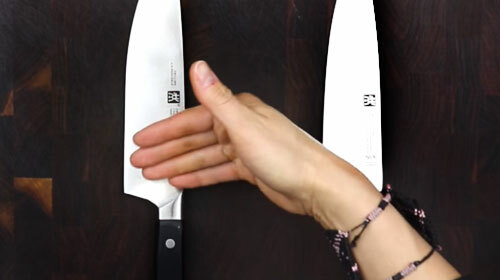 TWIN Pro "S" features knives in a variety of styles to handle all kitchen cutting tasks. The ergonomic, 3 rivet handle design of the TWIN Pro "S" series features durable Novodur handles perfectly bonded to the full tang. The balanced super bolster provides weight and adds balance for safer and more professional cutting.